We normally find a lot of short stories as well as certain non-fiction articles dealing with the plus points of reading good literature……..but, do any poems encourage us to read good literature ????? ?…….One does. This poem which encourages a student to read more is Roald Dahl’s ‘Television’ which is a masterpiece. The poem ‘Television’ by famous children fiction author Roald Dahl goes on to explain that the television is a hypnotizer which dulls the imagination of children by all the filth it telecasts. According to Dahl, children who watch the television just constantly stare at the screen bedazzled by the shows which completely control their minds, so much so that they find it impossible to do or think of anything else. I share Roald Dahl’s judgement about the television set & its morbid shows that are turning our young generation into zombies where thinking is concerned. Values, morals & ethics are thrown into the dustbin & bizarre information provided by the media is being constantly chewed & digested by children these days…& also by adults at times…if not all the time. It is very difficult however to rid the idiot box from our homes &…it has now become a necessity. There are some good points about television watching especially where the news is concerned to make the pupil aware of what is happening in society but most of the time, the television is unable to censor the content being broadcast which ultimately leads to a sort of ‘early maturation’ of young students. Books on the other hand can be controlled where information is concerned & always benefits the minds of the scholar. I would not go too far as Roald Dahl did to call the television a ‘ridiculous machine’ (though I for my own self do not watch it at all) because there are some plus points which aid in the instruction of pupils who can absorb more information with the aid of audio-visual stimuli which the television is a master resource. 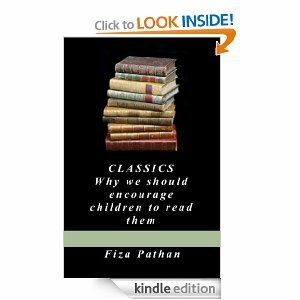 On the whole however, books & reading broadens a child’s as well as an adults thinking processes which is mentioned very clearly in my latest book ‘Classics: Why We Should Encourage Children To Read Them’. 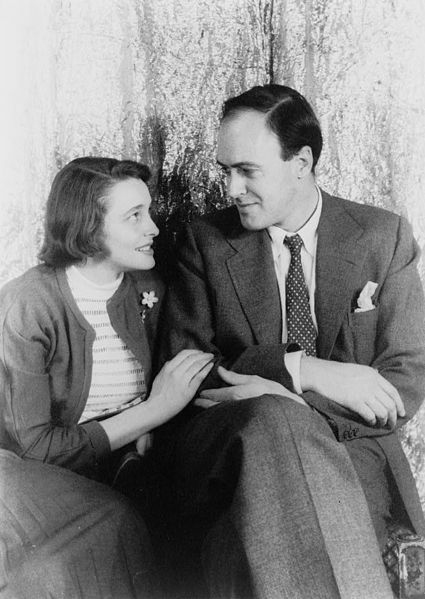 Roald Dahl also in this poem describes the way an adult can initiate the reading habit in children by throwing the television away!……I would not go to that extreme but, I would certainly delimit television watching among my students to an hour & a half every day which right now is considered a very healthy habit for the brain. It is a small indulgence which we can afford for our children who will in the future, hold the reins of our development towards greater heights. According to Roald Dahl, by the installation of a book shelf with a lot of books, children in a few days time would definitely take the hint & start to read……..here comes the suggestion technique in Psychology which is put in good use. I use the same method of suggestion for my students by setting up a lot of books in the tuition house which indirectly influence their minds & they start to read. Like in the poem, I too had to encounter at first a lot of ‘dirty looks’ from the pupils but in the end, all went well. Reading also has changed in the past few years as well as studying. The invention of the iPad (or innovation) & other tablets have led to a sort of culture revolution throughout the world BUT…..we should remember that the iPad was made for man, not man for the iPad……our minds should be in our control & not in the control of a television, mobile phone, smart phone or a tablet……otherwise, the saying will sadly come true which states that we all are living in society where there are smart phones but stupid people!!! “And once they start — oh boy, oh boy! A link to my latest book, which discusses why we should encourage children to read classics, Through this book I introduce to you the various classics that have influenced me, the different skills one can develop by reading good literature and how sometimes good fiction makes reality a lot more tolerable. This poem by Roald Dhal is really a very good poem that seeks to inculcate in children the habit of reading books. The idea that children would have nothing to turn to books in the absence of anything else to do. The post is well thought out and is born out a good intention to encourage the habit of reading books. Lovely post Fiza. I completely agree with you. That’s why every night i read to my 3-year-old son before he goes off to sleep so that he gets interested in reading. It is true too much television is bad but controlled programme viewing is not that bad I guess. Before my son learned to turn the pages of a book he could tell all the animals by watching programmes like Barney or Dora or seeing films like Madagascar. So television nowadays can add to the knowledge pool provided we know what they should watch. But an interesting post indeed. I also watch no television. We threw it out at the roadside years ago, and I am happy not to replace it… except for replacements such as books, and conversation, and walks in nature, and… 😉 Roald Dahl’s poem is wonderfully opinionated. Excellent post. I totally agree. My kids had very little TV and my little grandson has none. We have yet to totally understand the impact of TV and other media sources on the developing brain. But we know that children create an internal map of the world from the input of their experiences and what they are exposed to, much like the programming of a computer. Scary to think of some of the programming they get from TV. So many of this is subconscious and not readily apparent. But the references they get from TV are there, incredibly powerful, and help determine who these children become. Added to TV programming are the commercials that are cleverly designed to impact, influence, and brainwash our kids minds. TV creates an external focus. We are creating a generation of children who are losing the ability to have an internal, discerning reference, which negates imagination and the structure needed for creativity and innovation. So sad and again, scary, for the future. This was a fascinating read. I had never heard of this before. What a nice blog. I enjoyed reading it. Thank you for visiting my blog and for the like. Your welcome back anytime. Have a blessed day. Really thought proving write up. Keep it up. Thanks for stopping by my blog today with your like. I like our mutual support. Such a smart an interesting post, Fiza. Just what we’ve come to expect from you!